Nashville-based hospital chain Community Health Systems lays off at least 70 corporate IT employees. Anonymous rumors say the data center and deployment areas were hit hard and the company may be looking to send data center support offshore. Wayne Smith, CEO and board chair of the publicly traded company, was paid $5 million with an $812,000 performance bonus in 2017 even as the company lost $2 billion and share price dropped 52 percent. CHS has sold 40 hospitals recently as it struggles to absorb its 2013 acquisition of Health Management Associates for $7.6 billion that left the company $14 billion in debt. Over the past five years, CHS share price has slid 88 percent vs. the Dow’s 64 percent gain, decreasing its market cap to just $466 million. Microsoft sued the company two weeks ago, claiming that CHS intentionally facilitated unauthorized use of its software in some of its divested hospitals and obstructed Microsoft’s ability to perform a full enterprise software audit as its agreement allows, claiming that limited information suggests that CHS’s enterprise size is at least six times what CHS had indicated. 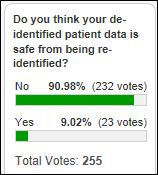 Just 9 percent of poll respondents think their de-identified patient data is safe from being re-identified. One respondent recalls the 1990s brash assurance of Massachusetts Governor William Weld that the publicly released hospital records of state employees were safe because they had been de-identified. Graduate student Latanya Sweeney (now a computer science PhD and Harvard professor) easily found the governor’s hospital records, including his diagnoses and prescriptions, and sent them to his office. She knew he lived in Cambridge, so she paid $20 to buy the city’s voter registration rolls and matched up the records from the two databases – only six residents shared the governor’s birthdate, only three of those were men, and only one lived in his ZIP code. Sweeney later showed that 87 percent of Americans can be uniquely identified by just their ZIP code, birthdate, and gender. Imagine what Facebook could do with its technology, money, and huge store of personal information. New poll to your right or here: How important is Twitter to your exposure to health IT knowledge, news, or opinions? Click the Comments link after voting to explain further. Answers to this week’s question might help those trying to decide if taking college courses while working is doable and worth the effort. Veritas Capital has arranged $850 million in leveraged loans to support its acquisition of GE Healthcare’s IT business for $1.05 billion. Need proof that healthcare is a business rather than a compassionate service to humankind? Goldman Sachs warns gene therapy companies that “one shot cures” will not deliver sustained cash flow compared to the recurring revenue generated by treating — but not curing — chronic conditions. CVS Health hires the chief medical officer of Iora Health as chief medical officer for its MinuteClinic division, perhaps signaling CVS’s interest in providing services to Medicare Advantage patients as part of its proposed merger with Aetna. 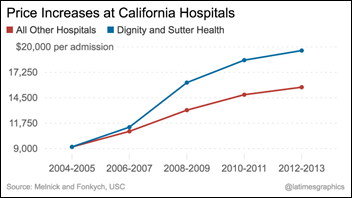 Prices rose 113 percent at Sutter and Dignity Health systems from 2004 to 2013 vs. 76 percent for all California hospitals. Sutter acquired Summit Medical Center in 1999 and raised prices by 72 percent, a practice that experts say allows all competitors to also raise prices. Sutter’s insurance contracts don’t allow any of its hospitals to be excluded or for patients to be charged a higher co-pay at specific hospitals regardless of their cost or outcomes. Sutter claims otherwise, but previous testimony showed that its conditions were that out-of-network visits – most commonly, ED visits where Sutter hospitals are the only option — would be charged at 95 percent of billed charges. Blue Cross estimated that Sutter’s profits on those visits would be 270 percent. Employers are forbidden legally from sharing cost information with third parties. Drug maker Pfizer joins the global health research network of TriNetX, which will enable the company to access clinical, genomic, and oncology data for study design, site identification, and patient recruitment. Hutchinson Regional Medical Center (KS) will switch from Philips Healthcare to Merge Healthcare cardiology information system in September 2018. Hannibal Regional Hospital (MO) is considering purchasing a new hemodynamic recording system. Pikeville Medical Center (KY) plans to switch from Philips to a Merge cardiology information system. Sound Physicians hires Lisa Shah, MD (Evolent Health) as chief innovation officer. The company provides hospitalists and other physician services. WiserTogether adds risk warnings to treatment recommendation plans in its Return to Health platform that include opioids as a treatment option. 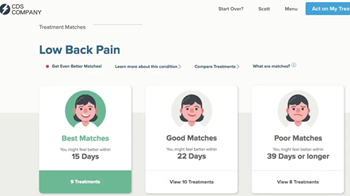 Memorial Hermann Health System (TX) joins the Greater Houston Healthconnect Network. Nova Scotia’s government charges a teen with unauthorized use of a computer after discovering that he had created a script to download all documents stored on a Freedom of Information Act portal, some of which weren’t supposed to be publicly available. The province had implemented no security on the site – documents were numbered sequentially, so the teen simply wrote a script to increment each URL and download the corresponding document, bypassing the site’s public page. Privacy experts say the government is looking for a scapegoat since the teen did nothing with the information he retrieved. India-based Apollo Hospitals develops a heart risk scoring tool that use Microsoft’s healthcare AI technology to analyze EHR data. The New York Times exposes law firms that hire telemarketing firms to cold-call women who have received vaginal mesh implants and urge them to have them removed at company-hired surgery clinics. The reason: the law firms are pursuing mass tort lawsuits against the manufacturer and have realized that settlements are lower when the implant remains in place. The women were flown to Florida and Georgia, housed in motels, and sent to walk-up clinics for their procedures without meeting the surgeon first. Doctors who performed the surgeries made up to $14,000 per day, while the medical centers kept at least $15,000 per case even as some women experienced debilitating effects from the removal surgery. The patients sign a form binding them to pay back the surgery cost plus double-digit interest if their case is favorably settled, with upfront funding provided by firms that are backed by international banks and hedge funds. I’ve been looking over Alex Scarlat, MD’s book, “Medical Information Extraction & Analysis: From Zero to Hero with a Bit of SQL and a Real-life Database.” It’s a hands-on clinician guide for using SQL (the database tools and de-identified patient database are included) to answer common clinical / informatics questions, such as, “What are the number of patients and admissions associated with sepsis-related diagnoses?” I think it’s important for clinicians to be able to do their own data discovery – sometimes you don’t realize what information is available or how it’s represented until you look at the underlying database, which often then leads to more useful queries. I’m pretty good with SQL and understanding data definitions and table relationships, but for those who aren’t and who learn best from hands-on experience (which is nearly everyone), then you’ll have fun with this book. Banner Health will pay $18 million to settle False Claims Act charges, but HealthLeaders Media finds the most interesting aspect to the story – this is the third such lawsuit filed by the same whistleblower involving previous health system employers. Cecilia Guardiola has netted $6 million from filing her lawsuits after just 16, 19, and 3 months of employment at Christus Spohn, Renown Health, and Banner, respectively. She’s both an RN and a JD and appears to have worked for Optum as a clinical documentation improvement specialist. Banner must not Google prospective hires since her previous lawsuits were filed before they hired her in mid-2012. Vince and Elise complete their series on 2018’s top health IT vendors by annual revenue by reviewing the companies in positions 7-10 – CPSI, Harris Healthcare, Medhost, and Cantata Health. Odd: a couple in China dies days before their scheduled in vitro fertilizations, after which their respective parents sued each other hoping to convince a judge to give one of the couples access to the frozen fertilized embryos as “the only carriers of the bloodlines of both families.” The court agreed to release the embryos to a hospital, but since surrogacy is illegal in China, the four parents had to hire a woman in Laos to carry the baby. 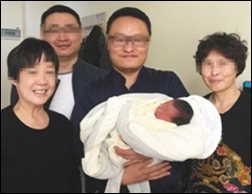 The baby boy was delivered on December 9, 2017, four years after his parents died. 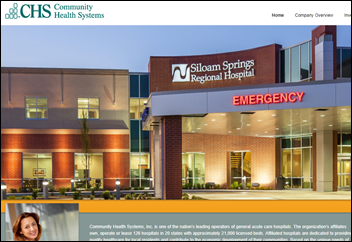 The SSI Group will exhibit at the AL HIMSS Spring Conference April 18 in Huntsville. Huron will exhibit at the HCCA Annual Compliance Institute April 15-18 in Las Vegas. 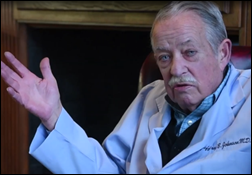 Is it a good or bad thing that Dr. Jeffrey Johnson stopped practicing (at this hospital at least) because he wouldn’t learn how to use an EHR? I don’t know if it’s good or bad. But I wouldn’t want my money riding on the chance that a 75 year-old obstetrician is keeping up with the latest practice standards and could really do the job that an ob-gyn needs to do. I would not be surprised if some of his colleagues are relieved. Something had to “force” him into retirement, maybe it’s good that it was this. Maybe. If you read the newspaper article, it assumes it was bad because he had “delivered thousands”. We have a mandtory retirement age for commercial pilots and cardinals, maybe we should have one for physicians too. As far as using the EHR, I am sorry his generation did not universally learn how to type. Current and future generations will, until typing eventually becomes obsolete. 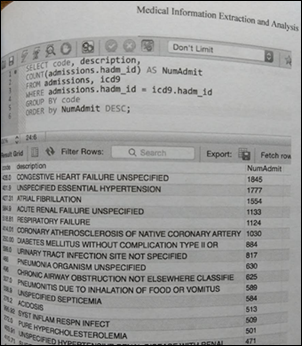 I am currently reading Dr. Scarlat’s new book “Medical Information Extraction & Analysis” and am finding it to be well-written, with many practical and easy-to-follow examples of how to extract and process clinical info from databases. Just a minor note on Vince’s slides: Rycan doesn’t “run” clients’ business offices for them, or provide services; it’s an RCM software company now integrated into Trubridge’s services. Also, there are no more AHN or APS clients left, as both those platforms have long been retired. Thank you for doing this market recap – very informative!